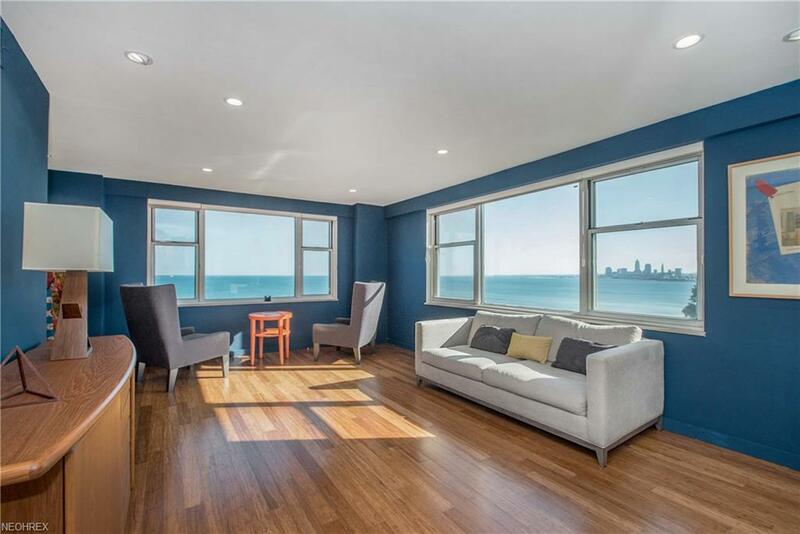 Gold Coast....BEST Downtown Cityline and Lake Erie Views in the entire city! High style renovation with excellent materials. Mirrored walls in main space add depth and light to the unit along with custom LED lighting throughout. Master suite accommodates a king size bed and a large walk in closet. Attached master bath features a steam shower, ceramic tile walls and floors, and two architecturally designed sinks. Second bedroom has natural wood built-ins that accommodate a double bed. 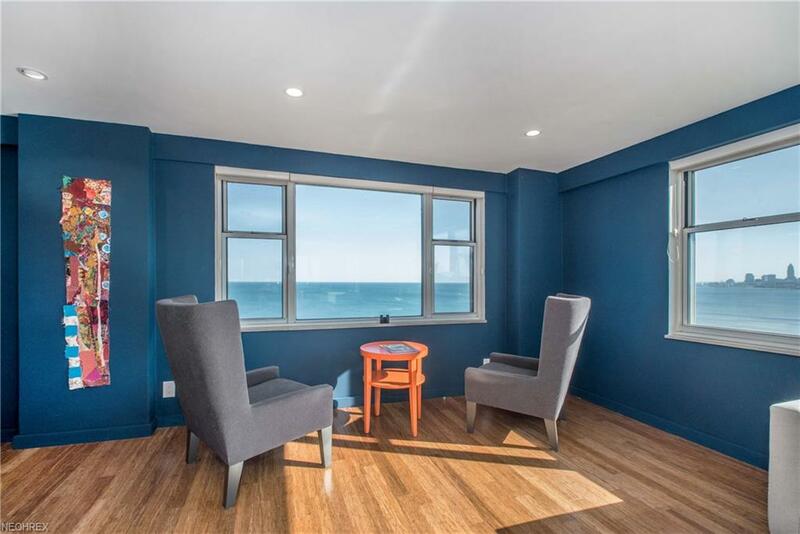 Room can double as an office with electricity in closet for equipment.Second full bath has marble floors, designer sink and mirror and original ceramic tile shower. Cork floors in entry hall, bamboo floors in living and dining rooms and quality carpet in the bedrooms. Kitchen is totally efficient with natural wood cabinets, custom composite counters, stainless steel appliances and tile floor. 1089 Sq ft of living space originally 3 bedrooms. Two car space in heated basement garage. Car wash there for your convenience, Important to note that the $860 maintenance fee covers ALL UTILITIES and there will be NO special assessments. 4x8ft Storage unit available. Restaurant and salon on first floor. 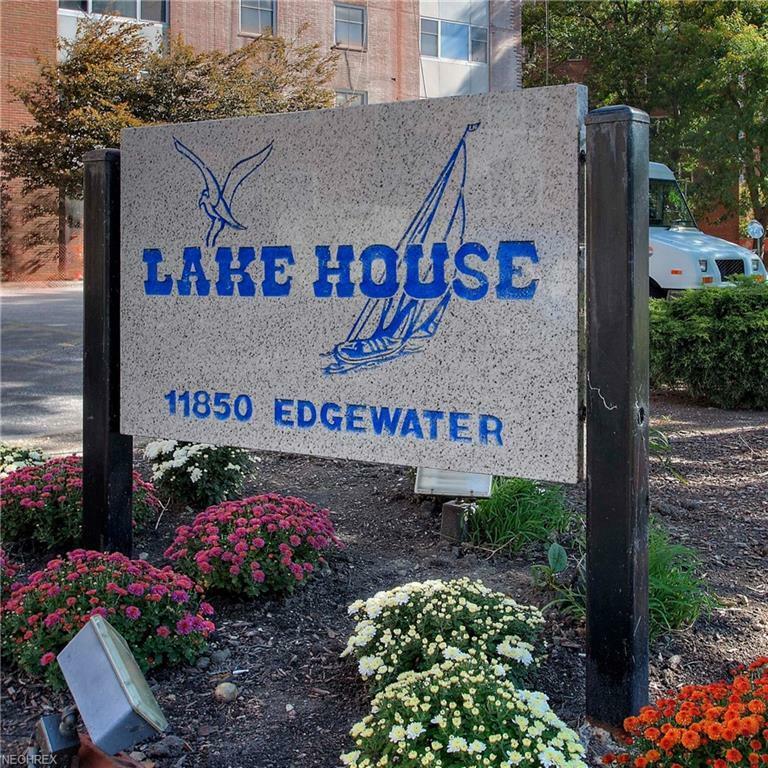 Lake House is in a walkable community. A new Lucky's grocery store, CVS drugstore, restaurants and bars are conveniently located. Plus, public transportation is at your doorstep. 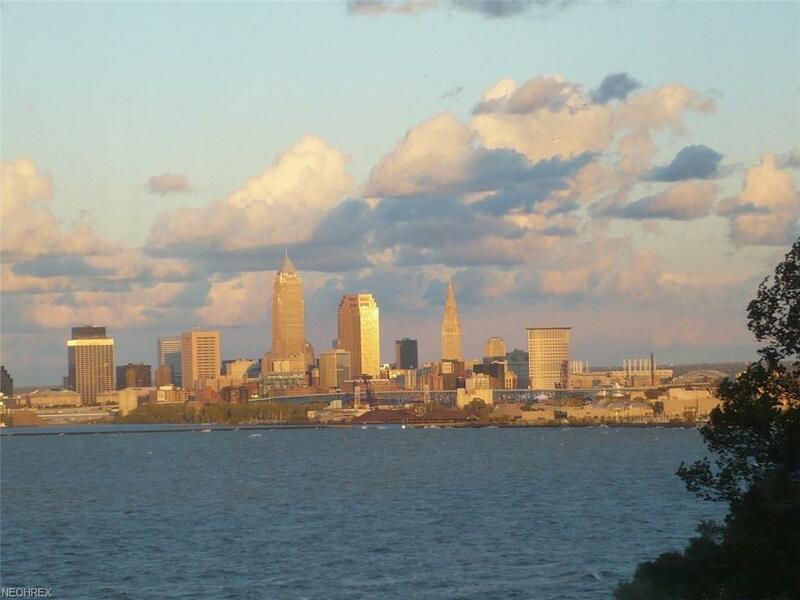 Downtown Cleveland is a 10-minute car ride. University Circle is 12 miles away.All this and a MILLION DOLLAR VIEW! Listing courtesy of Lake Realty, Inc..